(Reuters) - Nokia and lens-maker Carl Zeiss agreed an exclusive deal to make high-end cameraphones, and said a new top-of-the-range model would be launched this month. The companies on Wednesday said the deal will run for several years, which Nokia hopes will help it compete more effectively against other smartphones, including Apple's iPhone, which have been grabbing market share. IDC analyst Francisco Jeronimo said the deal was good for the Finnish mobile phone maker as cameras are playing an increasingly crucial role in smartphones. "Manufacturers will continue to improve the cameras with higher resolutions, better focus, and several other features to differentiate their devices on a crowded market where touch screen smartphones look alike," Jeronimo said. Separately, Nokia said the first model using its new PureView camera technology will go on sale this month. It uses a Carl Zeiss sensor with 41 megapixels, significantly more than those in advanced cameras used by professional photographers. 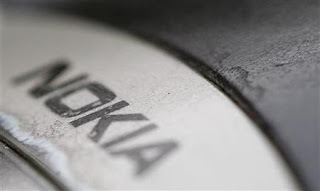 Analysts have said the new model may be hard to sell as it uses Nokia's old Symbian operating system, which the company is phasing out, although Nokia plans to adopt the camera technology for its new Windows Phones system in the future. "We're going to carry on developing PureView for our future smartphones," said Jo Harlow, Head of Smart Devices at Nokia.